Groups representing retailers in Ireland, Northern Ireland and Britain have issued a strong warning that a no-deal Brexit will lead to reduced availability of some goods. 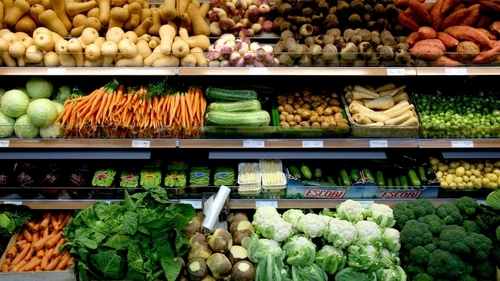 The joint statement from the Northern Ireland Retail Consortium, Retail Ireland and British Retail Consortium also cautions that if Britain crashes out of the EU on 29 March, food and drink prices will rise. The organisations say that in the event of a disorderly Brexit, increased tariffs of up to 45% and new regulatory checks will result in higher costs to suppliers. They say in the current operating environment, these additional costs cannot be absorbed and will have to be passed on to consumers in the form of higher prices. The groups say Northern Ireland families in particular will not be able to afford such increases, as they have half the discretionary income of other households in the UK and less than those in the Republic. They also warn a hard border would lead to the disintegration of supply chains built up over four decades. They say the northern economy is built on access to both markets and businesses need that to survive. The trade bodies say they are united in their call for a solution, arguing that the time for brinksmanship and political games has long past. They add that their members continue to work hard to plan for all possible eventualities, but ongoing uncertainty is damaging the retail industry and impacting customers. Meanwhile, the ratings agency Fitch has warned that it could cut Britain's debt rating, citing the economic hit from a potential no-deal Brexit. The agency has put Britain's long-term debt on credit watch 'negative' for a possible downgrade from its current 'AA' rating. Fitch said it still expects Britain will avoid a no-deal Brexit and economic growth will pick up, but warned the consequences could be serious if no agreement is reached.